Sustainability at Montefiore is about much more than managing the tremendous resources needed to provide our patients with excellent patient care. As a leading healthcare institution dedicated to transforming the future of our field, our goal is to serve as environmental stewards and healthcare innovators for the communities we serve. This commitment to sustainability is one that we take to heart. 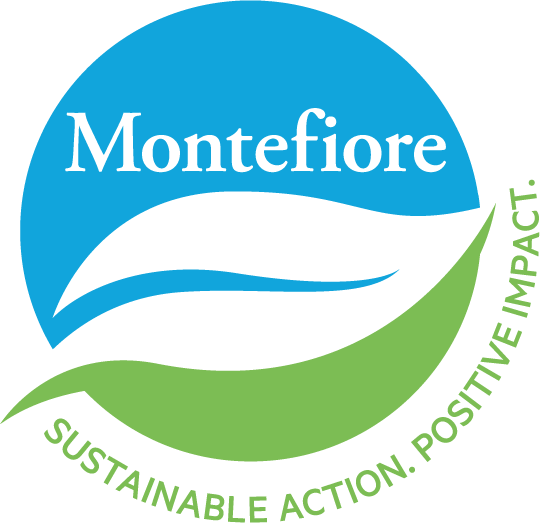 Montefiore employees at all levels of the organization are actively committed to reducing Montefiore’s carbon footprint and energy costs. In fact, everyone from top leadership and trustees to associates and clinicians champion and support such efforts, allowing us to take sustainable actions that ultimately lead to us making a positive impact for current and future generations. Continuously adopting new technologies and collaborating with peers across the entire health system to help us achieve our reduction goals. Join us in our journey to create a positive impact through sustainable actions. We encourage anyone with an interest to learn about our multidisciplinary commitments system-wide to promote a culture that practices and prioritizes sustainability, in all of its various forms. To learn more about how we are creating sustainable solutions and leaving a lasting impact, explore our website or call 718-920-2451.